As I write this in December 2018, Egyptian envoys are hard at work on two fronts – trying to build a long-time truce between Hamas and Israel and working towards reconciliation between Hamas in Gaza and Fatah/PLO in the West Bank. We wish them every success. As 2018 draws to a close and 2019 beckons, we continue to work with grassroots organisations across the region to protect all the children and work towards peace and reconciliation. Our Coalition of Peace is the single largest peace network across the MENA. It gives our message an extraordinary reach. It carries a message of hope for the next generation. It understands the futility of hate. Hatred is exhausting, nihilistic and rarely, if ever, solves conflict and disputes. Hatred dehumanises the hater and the hated. By taking away the human spirit it leaves a moral void and justifies violence, atrocities and loathing. We believe in peace. That’s why we do not take sides. It is time for an entirely new way forward. Interview with Ben Gidley of Birkbeck University. Jesseca Manville reports on life in Southern Israel. Rt Hon Emily Thornberry MP joins other world leaders and public figures in support of Children of Peace. A new bursary in honour of the late Palestinian paramedic. In the latest of her despatches, Dalia Al-Najjar reflects on the life of children under occupation. Israeli journalist Jesseca Manville explores the impact of tension and conflict on the children’s lives in Southern Israel. Professor Sarah Brown talks to Ben Gidley, Senior Lecturer in Psychosocial Studies at Birkbeck University. Spring 2019 sees its launch, led by its Chair – Mohammed Amin MBE. Latest news from the region, including Justice Daphne Barak-Erez’s concern about Palestinians facing eviction. The Rt Hon Emily Thornberry MP joins other world leaders and public figures in support of Children of Peace. “For those of us who want to see a secure and viable state of Israel alongside a secure and viable state of Palestine, it is clear that projects which help to foster trust between different communities are an important way to encourage peaceful co-existence. the ‘Great March of Return’ on June 1st. Our Gaza correspondent Dalia al Najjar takes a look at the devastating effect, conflict has had on Palestinian children in Gaza. Since the start of the ‘Great March of Return’ demonstrations on 30 March 2018 and up to the end of October, 33 Palestinian children have been killed during the demonstrations. A further 10 children, were killed in Israeli airstrikes. A total of 24,362 Palestinians have been injured, of whom nearly a quarter are children of whom 984 children were hospitalized due to live ammunition. As reported by the World Health Organization (WHO), up to 21 October 2018, 15 amputations had taken place in Gaza on children injured during the ‘Great March’ protests. Keep in mind that around two-thirds of the Palestinians living in the Strip are refugees, more than 80 percent of the population relies on humanitarian aid. According to the UN, the Gaza Strip will be unlivable by 2020. The Gaza Strip has 2,000,000 inhabitants, 50% of whom are children and one in four are orphans. 40% of the orphan children in the Gaza Strip are due to the Israeli aggression. Rami, 13 (pictured above), was with a group of children at the march of return protests when he was shot with an exploding bullet. The bullet carved a hole in his leg and he was rushed to a field hospital where the doctors wanted to amputate before his father intervened. Rami has now had surgery 11 times and doctors don’t know if he will ever walk again. A study conducted by a group for the defence of children’s rights in June 2018 revealed that 95% of the young people surveyed in Gaza had symptoms of deep psychological distress: depression, hyperactivity, aggression, sleep disorders, anxiety, incontinence, a preference for being alone, sometimes going into a vegetative state. The health problems are numerous, but support mechanisms for children are mostly insufficient. As a result of the blockade, medical institutions and medical supplies, especially in terms of therapeutic psychiatric support, are inadequate, and humanitarian aid scarcely exists. The children in Palestine, if not killed, are injured, detained, or sustain a disability. They often lose their caregivers and suffer from a deep trauma. The future does look pessimistic as the situation of children in the occupied Palestine is deteriorating. Dreams of hundreds of children are being assassinated with every dawn in a reality that’s moulded by the occupation. In the first of her regular series, Israeli journalist Jesseca Manville explores the impact of tension and conflict on the children’s lives in Southern Israel. As an uneasy Egyptian/United Nations-brokered ceasefire between Gazan militant groups and Israel appears to hold, the threat of renewed rocket fire never dissipates for Israel’s southern border communities. With no prior knowledge of when the next flare-up will take place – notwithstanding the abrupt red alert siren warning of an incoming rocket – many are living in a state of perpetual uncertainty, that manifests itself in detrimental physiological and neurological ways. He refers to the thousands of acres of farmland and wildlife have been desecrated in fires (picture above) that have scorched the agricultural land as a result of the incendiary devices. Jehan calls it an “intergenerational post-trauma situation” where he details how often commonplace activities such as taking his children to school, shopping for groceries or simply going on a family day trip to the park, are often compromised. In the context of the weekly Palestinian border protests, the latest eruption of rocket violence earlier this month saw around 460 mortar shells fired from the strip within a 25 hour time period. Whilst fatalities tend to be low due to the protection of the Iron Dome missile defence system, the long-term traumatic effects are becoming deeply ingrained in the psyche. “This is a community trauma characterised by its chronic, cumulative and ongoing nature,” says Dr Tamar Lavi, educational psychologist and director of a community resilience unit at the NATAL organization. She details the all-encompassing nature of the conflict that impacts everyone from parents to teachers to hospital staff and even the police units residing in the border towns. The not-for-profit has developed a number of mobile response units throughout the southern towns in an effort to build resilience among civil society suffering from war-and-terror related traumas and post-traumatic stress syndrome (PTSD). By teaching individuals how to “regulate” their anxiety, they hope to provide coping mechanisms in between emergencies. 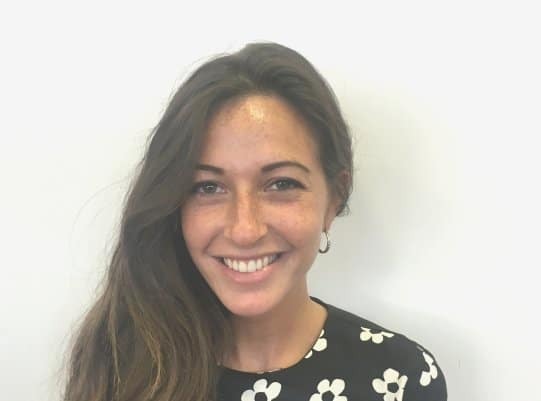 In the latest of her regular series of exclusive interviews Professor Sarah Brown talks to Ben Gidley, Senior Lecturer in Psychosocial Studies at Birkbeck University. His PhD in Sociology focused on citizenship and belonging among East London Jewish radicals in the early twentieth century, and much of his research is concerned with issues of migration, integration and diversity. 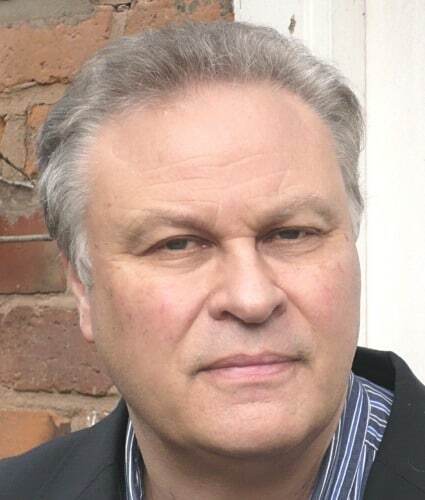 His recent publications include Antisemitism and Islamophobia in Europe – A Shared Story? (Palgrave, 2017), a collection of essays co-edited with James Renton. Sarah Brown: You have recently been researching the history of relations between faith communities in London. Can you tell us a little about your findings? What was the most surprising discovery you made? …(including Jane Garnett, Michael Keith, Nazneen Ahmed and Gil Toffell) on Jewish, Muslim and Christian associational life in East London since the 1880s. Lots of people see the East End as a place that tells the story of Britain’s immigrants: they arrive, settle, form communities, integrate, then move up in the world and out to the suburbs. In fact, we see that the picture is much messier. Some dissent from their communities, or refuse to integrate, or find deep affinities with other communities; many get left behind when the mainstream of their community moves on. The story of the East London Mosque and the Fieldgate Street synagogue next to it is a good illustration of this. The East London Mosque had many locations before it settled in its current site on the Whitechapel High Street, and when it was launched before WWI, Baron Nathaniel de Rothschild, a Jewish communal grandee, sat on the board, along with the Sephardi Jewish Mundji Fikri Bey, who was the Ottoman Consul-General in London. A community leader, Suleman Mohamed Jetha, was married to a Jewish woman. An early imam was married to a Welsh convert, Moyram Ali (born Josephine Morgan), who, when interviewed in the 1970s, recalled buying meat from kosher butchers in the “early days”, because halal meat was not available. The infrastructure of the Jewish East End was thus a living resource for East London Muslims before the mass arrival of migrants from the Indian subcontinent. The Synagogue was only slightly older, formed in 1899 by Yiddish- and Polish-speaking migrants, who chose not to join one of the new model synagogues built by the Anglo-Jewish leaders who were keen to “anglicise” them quickly, and it survived the period when many Jews moved out of the East End by welcoming smaller congregations who were often made up of “landsmanshaftn”, associations of migrants from the same hometowns. In fact, it survived right up until the 2010s, working closely in its last years with the mosque next door. A couple of years ago, it was sold to the mosque, who now use the space for collecting zakat (alms); the pillars and Star of David windows have been preserved inside what is now an Islamic space. SB: You have recently co-edited a collection of essays on Islamophobia and antisemitism in Europe. What key point from this research would you most like to be known/understood more widely? …which I edited with James Renton, tells the story of how Europe has represented and treated its Jewish and Muslim minorities since the time of the Crusades, with case studies from Iberia at the time of the Inquisition, imperial Russia, the modern Balkans, and the contemporary Netherlands, among others. For me, the first key message of the history is that the idea of Europe and a European identity, which started to form around the same time Islam was born in what we now call the Middle East, was always shaped by how it defined itself against its two primary others, the Jew and the Muslim. That is, Europe is as much a theological idea as it is a geographical or cultural idea. Medieval Europeans saw themselves as the children of Japheth – and Muslims and Jews as the children of Shem (hence Semites) – and were obsessed with the purity of Christian blood. Modern antisemitic ideas of secret Jewish conspiracies and dangerously fanatical Muslims are deeply wired into our culture. SB: Could you tell us something about responses to the book? BG: It has been gratifying to present the work to Muslims and Jews in different contexts. The history shows that Jews and Muslims, so often divided by geopolitics, actually have solid grounds for solidarity – and this message really resonates with both minorities. We don’t argue that the two racisms are the same as each other, but instead that they have always had an intimate relationship, and this is a step towards building a form of racism that is not based on either competing for victimhood or on erasing each minority’s specific difference. SB: Israel/Palestine is often a source of tension between the UK’s Jewish and Muslim communities – it can be difficult to see the perspective of the other ‘side’. Are there any authors/journalists whose writings on this topic you’d particularly recommend? BG: Oz Katerji is a British-based journalist who has worked on the refugee “crisis” and other topics. He has recently written a series of brilliant opinion pieces in Ha’aretz and the New Statesman e.g. 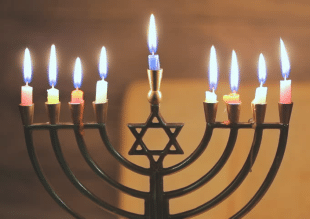 in defence of the controversial radical Jewish group Jewdas (who invited Corbyn to their Passover Sedar this year) or on how anti-Israel activists can become apologists for dictators. Joey Ayoub, who I think comes from a Lebanese Christian background, is the Middle East editor of the brilliant Global Voices blogging project, and he also has a great blog and (with Syrian feminist Sarah Hunaidi) podcast, called Hummus for Thought. Budour Hassan is a Palestinian writer based in Jerusalem who writes powerfully on Israel, but also is sharply critical of some parts of the Palestine solidarity movement. She has a blog and also writes for al-Jazeera. Her writing is often uncomfortable but truly important. Al-Monitor and Al-Araby are my go-to sources for Israel/Palestine and Middle Eastern news. I particularly like Asmaa al-Ghoul’s reports in Al-Monitor on Gaza, which incredibly bravely document corruption and human rights abuses by Hamas. Yousif Qasmiyeh is a wonderful British-based Palestinian poet. He has recently been producing an extraordinary series of works called “Writing the Camp” about life in refugee camps for the academic project Refugee Hosts. On the wider Middle East rather than Israel/Palestine, I’d recommend Nader Hashemi and Danny Postel. Their book Sectarianization made me completely rethink the geopolitics of the region and how it is misrepresented by many supposed “experts”. Another book which has had a big impact on me recently, also not about Israel/Palestine specifically but on the Middle East and global solidarity movements, is Rohini Hensman’s Indefensible: Democracy, Counterrevolution, and the Rhetoric of Anti-Imperialism. Hensman is a veteran Sri Lankan Marxist feminist, and the book is about how anti-imperialist movements have come to be used in support of anti-democratic counterrevolutions. What all of these writers have in common is that they start not from dogmas and ideologies but from solidarity for ordinary humans caught in difficult situations. SB: In the UK, the Labour Party has faced allegations of antisemitism whilst the Conservative Party is accused of Islamophobia. Could you briefly comment on or evaluate any aspect of these accusations? BG: The situation is incredibly complex, and too many people try to reduce it to a simple picture. If, as I’ve already suggested, anti-Jewish and anti-Muslim tropes are deeply wired into our society – and carried by people who aren’t necessarily aware of their prejudices, and indeed who may even see themselves as anti-racist – it is not surprising they’d be found in our political parties. In government, both parties are guilty of demonising British Muslims, portraying them as potential terrorists who have failed to “integrate” – and particularly bigoted versions of this narrative are clearly alive in the Conservative Party’s grassroots. Labour’s problem with antisemitism is more specific. I see it as having five sources. There’s traditional mainstream casual antisemitism – Jews have big noses and are tight with money – which is probably less commonly found in Labour than on the right. Then there’s a particular left-wing tradition, which is often called “the antisemitism of fools”, of identifying Jews with finance capital, as well as the form of antisemitism that grow out of anti-Zionism (I don’t see anti-Zionism as antisemitic in itself, but it can become antisemitic) – these two sources are by definition going to be more common in Labour than on the right. The fourth source is newer: conspiracy theories, for instance about Soros or the Rothschilds or Bilderberg, which are often antisemitic in content or form. This kind of thinking is found on both left and right (we’ve heard versions from UKIP leaders, as well as from Theresa May’s former advisor Nick Timothy, not to mention from Benjamin Netanyahu), but it seems particularly prevalent online, including in pro-Corbyn social media. The fifth source is in some ways the most worrying: an impulse to defend the party and the leader leads good faith anti-racists towards justifying antisemitic tropes. I think that part of the mainstream Jewish community overplays these issues out of a sincere sense of insecurity that is justifiable when Jews are under violent attack, and I think there are people on the right stirring up the issue cynically for political reasons – but equally I have seen enough evidence to be certain that there is a widespread problem. Spring 2019 sees the launch of the Children of Peace Advisory Board – a team of leading professionals who will advise our Board of Trustees on key issues. The Advisory Board will be led by its Chair – Mohammed Amin MBE (shown here) – a long time supporter and Friend of Children of Peace. Mohammed has on several occasions been listed as one of the hundred most influential Muslims in the UK. In the Queen’s Birthday Honours List 2016 he was awarded an MBE (Member of the Order of the British Empire) for services to Community Cohesion and Inter-faith Relations in Greater Manchester. He graduated in mathematics from Clare College, Cambridge and obtained a Post Graduate Certificate in Education from Leeds University. After a year teaching, he trained as a chartered accountant, and as a chartered tax advisor. For 19 years leading up to retirement at the end of 2009 he was a tax partner in Price Waterhouse, now PricewaterhouseCoopers LLP. He was the first Muslim to be admitted to the Pricewaterhouse partnership in the UK. From 2003 until he retired, Amin was an elected member of PwC’s 15-person Supervisory Board. Chairman of the Conservative Muslim Forum, which is affiliated to the UK’s Conservative Party. Co-Chair of the Muslim Jewish Forum of Greater Manchester. Chairman of the Council of the Islam and Liberty Network. A member of the Alumni Council of Clare College, Cambridge. He was chosen as Clare College’s Alumnus of the Year 2014. John Coleman – our legal adviser. Jan Baister – marketing professional, theatre and entertainment industry. Fiona Monson – civil and commercial mediator, insolvency practitioner and chartered accountant. David Ronson – associate, residential development sales, real estate. The fraught history of this region has created great legal complexities. Haaretz here supplies some of the background to a recent dispute between the Jewish Ateret Cohanim organisation and a group of Palestinians from East Jerusalem. Although the court ruled in Ateret Cohanim’s favour, many errors of process were identified and criticised – in particular the lack of proper consultation with the Palestinian residents. Justice Daphne Barak-Erez (pictured here) expressed particular concern that any Palestinians facing eviction should be fully compensated by the state. 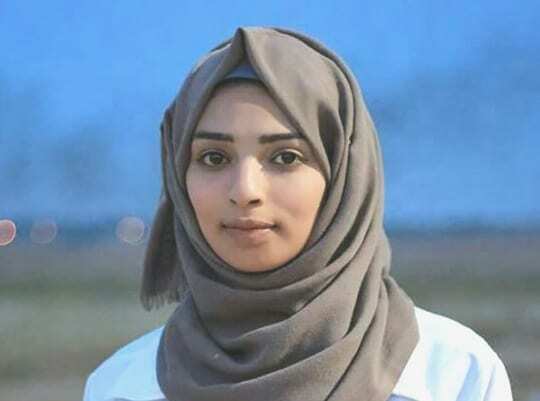 There has of course been much coverage of the many Palestinians killed in border protests, including the young Palestinian nurse Razan al-Najjar. However some who only sustained injuries are still not out of danger. Médecins Sans Frontières reports that many may be left permanently crippled due to infections – if these are left untreated, patients may need to have limbs amputated. Health provision in Gaza is already under pressure and the facilities for diagnosing and treating these conditions are inadequate. Israeli teams are used to a hostile reception when they compete abroad. Sometimes this simply takes the form of protests, as was the case with September’s friendly match between Northern Ireland and Israel. However in Middle Eastern countries the climate is still more challenging for Israeli athletes. Frequently they are denied entry visas, and, when allowed to participate, are separated from other players and forced to conceal any signs of their national identity. However recently, at the Abu Dhabi Grand Slam tournament, the atmosphere was far more welcoming. Here Sagi Muki, as well as winning a gold medal, became the first Israeli athlete to have his victory officially marked with the national anthem, Hatikva, at an Arab medal ceremony. Israel Public Broadcasting Corporation presenter anchor Gadeer Mreeh recently became the first non-Jewish woman to anchor the Hebrew news show. 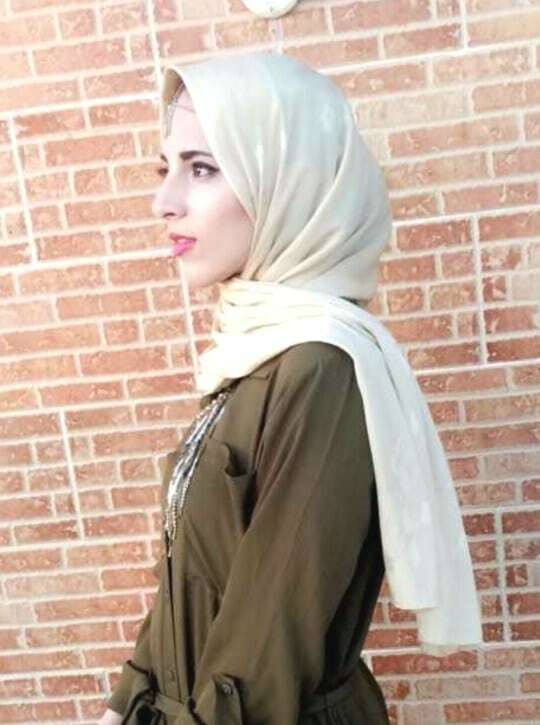 She was fascinated by the media at a young age, and now hopes to inspire other young women from her community. The Druze are a close knit ethno-religious group – significant communities exist in the Lebanon, Syria and Jordan as well as in Israel. Their religion emerged from Shia Islam but incorporates several distinct features such as a belief in reincarnation. As in many traditional religious communities in the region, Druze women face barriers when seeking employment. They are discouraged from driving or working in the public eye.